Sitting on southeast England’s coastline, Folkestone is a port town in Kent’s Shepway district. It has a population of around 47,000 and a good range of relatively affordable housing. At My Home Move Conveyancing we’ve been developing our knowledge of local markets like Folkestone’s since 2001, allowing us to bring a specialist, fixed fee conveyancing service to our clients in the area. When buying or selling property in Folkestone, you need to instruct property lawyers to complete the legal work on your behalf. 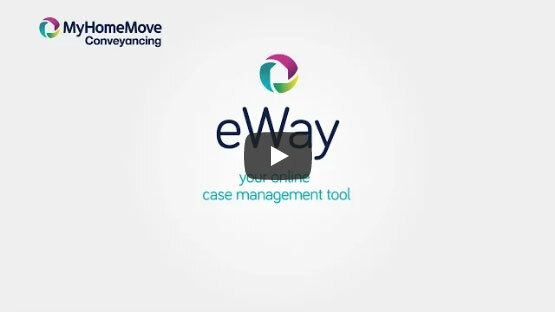 When you choose My Home Move Conveyancing to be your Folkestone conveyancers, you’ll be impressed by our award winning customer service, innovative use of technology and intimate knowledge of the local market. Our conveyancing service comes for a fixed fee, so you’ll know exactly what you’re going to pay right from the beginning. If you don’t end up moving for some reason, you won’t have to pay us a penny in legal costs. We assign each of our clients a dedicated conveyancer who’ll oversee your case from start to finish. You’ll be given clear, regular updates on your progress, as well as online access to your documents. At My Home Move Conveyancing we’re proud to offer assistance to clients with our conveyancing services in Folkestone, including those looking for something in the town centre, near one of the two train stations, and in neighbourhoods such as Morehal Foord and Seabrook with their great access to the beautiful coastline. The average house price in Kent is £274,504, while in Folkestone the overall average sale price during the past year was significantly lower than this at £200,929. Most sales in this period involved flats, which went for an average of £144,836. Terraced properties fetched £192,592, while semis sold for £250,592. Human settlement in the local area dates back to Mesolithic times, while the Romans also occupied this part of England’s southeast coast. Lying at the southern edge of the North Downs at a valley in between two cliffs, Folkestone was an important harbour for most of the 19th and 20th centuries. As well as plenty of modern amenities in the town, Folkestone is a fabulous place to live if you love exploring outdoors, with so much natural beauty surrounding the town. Despite being right on the coast, Folkestone has good transport links, with the M20 motorway starting on the edge of town. This heads northwest towards London and the M25, while the A20 heads along the coast towards Dover. From here you can use the Channel Tunnel to get over to France, while trains to London St Pancras station take around 55 minutes. There are some highly rated schools in the local area for families with children to consider, with Lyminge CofE among the top primary choices. Other options include Sandgate Primary and the Churchill School, while Highview School and Folkestone Academy are among the choices at secondary level. The Hervey Grammar School and Folkestone School for Girls are the town’s two selective state secondary schools. All properties in Folkestone will fall within one of the following council tax bands.